Meghan Kennihan, NASM-CPT, and Road Runners Club of America and USA Triathlon run coach, says, “Running is one of the simplest cardiovascular activities you can do, with benefits for nearly every part of your body.” It can help with heart health, blood pressure, weight control, lung function, muscular endurance, and joint strength — and those are just are just a few of its potential physical effects. Research shows running can improve your mental wellbeing, too. “It can actually make you feel calmer and less stressed, which [may] also lead to better sleep,” says Amanda Shannon Verrengia, ACE-certified personal trainer and USA Track and Field and RRCA coach. Of course, not all running is the same. There are many different ways to enjoy it, each of which can serve a unique purpose and provide different benefits. This is probably the most commonly practiced form of running, in part because it’s the most doable. Kennihan defines it as running at a gentle pace slower than 6 mph (10 kph). “Typically, those [who] don’t enjoy running, or who aren’t going to be competing in any races, can get away with only jogging one to two times a week and still get health benefits,” she says. For people with minimal running experience, jogging can be a great way to get started. Although popular with all age groups, Kennihan explains that distance running tends to become increasingly attractive to people as they age and begin to lose fast-twitch muscle fibers. “While we can’t run any faster [after a certain age], we can still run longer and longer,” she says. Verrengia adds that distance running is also a great way to build up your cardiovascular health. The mental toughness you get as a result is just a bonus. Jogging and distance running target your slow-twitch (type I) muscle fibers, which govern endurance. Alternately, sprinting targets the same fibers as weightlifting — your fast-twitch (type II) fibers — and when performed repeatedly in the context of a workout, is a form of high intensity interval training (HIIT). “Speed work, or interval training, encompasses bursts of intense effort separated by recovery periods of slower running, jogging, or walking,” says Kennihan. These types of workouts can help you increase your speed, running efficiency, and fatigue resistance, as well as your power and muscular endurance, she explains. Speed work is also the most effective type of running workout for shedding fat. But because it is so physically demanding, it should only be performed after you’ve already built a strong fitness foundation through jogging and running. Of course, as with any form of exercise, running has its risks. Sprained ankles and pulled muscles are obvious concerns if you run on uneven terrain or skip your warm-up. But even more insidious are so-called “overuse injuries” — like shin splints, tendonitis, and even stress fractures — which tend to occur when a runner increases his or her training load (e.g., mileage) too quickly, doesn’t allow for sufficient recovery time between workouts, and/or doesn’t facilitate that recovery by performing warm ups, cool-downs, and mobility work (think: foam rolling and dynamic stretching). To avoid such injuries, make recovery a priority and gradually build up your mileage by no more than 10 percent per week, suggests Kennihan. Verrengia adds that it’s also important to actively work on optimizing your running form, regularly mixing up your workouts (e.g., by incorporating more speed work and hills into your routine), and including more than just running in your exercise regimen. “Runners need to realize that strength work, stretching, muscle release work [a.k.a. massage], foam rolling, [and the like] play an important role in how successfully and healthfully you’re able to run,” she explains. Making recovery a priority includes these type of runs, which are short, easy cardio sessions (usually 15-20 minutes long) meant to help reduce muscle soreness and fatigue. Mellow workouts like this are important for all runners, novices and veterans alike, and are usually done the day after a more physically demanding run (like an interval session or race). “You should be able to have full conversations with people on these runs, and not feel any burn in the legs,” says Kennihan. If you’re a beginner, Kennihan says your recovery can take the form of foam rolling or yoga in lieu of adding mileage. “For those with higher mileage bases, recovery runs are great for increasing your aerobic base without causing more stress,” she says. From head to toe, mood to muscles, here’s why so many people extol the virtues of running. Alongside walking, running ranks among the most convenient exercise activities available. Unlike hitting the gym or playing a round of tennis, running is something you can do anytime, anywhere. “You can literally go right outside your door and start,” Verrengia says. Just lace up your running shoes and you’re ready to hit the pavement — or the treadmill, track, park, or trail behind your house. The options are endless. And you don’t have to carve out precious alone time to run, either. As Verrengia notes, you can bring your dog with you, or head out with a friend or significant other. In the age of pricey gym memberships and boutique workout studios that charge upwards of $30 a class, running can actually help you save cash. It’s free to do, and doesn’t require any equipment. “All you need is a good pair of running shoes [and some workout clothes],” says Kennihan. Running helps build strong, healthy hearts. A study from the Journal of the American College of Cardiology found that runners had a 30 percent lower overall risk of mortality, and a 45 percent lower risk of death due to heart disease, compared with non-runners. And those stats don’t just represent long-distance running, either. The study found that running just five to 10 minutes a day at speeds less than 6 mph (i.e., jogging) is enough to significantly reduce your risk of mortality in general, and death due to cardiovascular problems specifically. There’s very little barrier to entry when it comes to running. Just about anyone is capable of doing it, regardless of age, weight, fitness level, or experience. That doesn’t mean running is easy, though — it just means you don’t have to possess any special skills to do it. As Kennihan notes, chances are good you already learned to run when you were a toddler, so now you just need to re-familiarize yourself with proper form. Running can be a major boon to your weight-loss goals. The amount of calories burned can vary, with intensity being the greatest determinant in how fast you complete a mile — and how much fat you ultimately shed. Steady-state running, which tops out at 80 percent of your max heart rate, may help you lose fat at first, but to optimize long term fat loss, you’ll likely need to pick up the pace. Once you’ve built a strong fitness base, interval training is the best way to torch fat without losing muscle. Contrary to popular belief, running doesn’t cause any more joint problems than other forms of exercise — in fact, regularly pounding the pavement can actually benefit your joints. 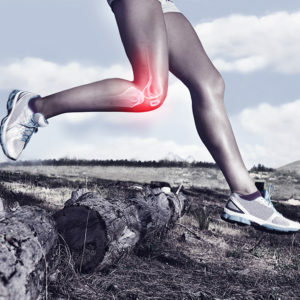 Just as it does to your leg muscles, running puts stress on the cartilage in your knees, ankles, and hips; the cycle of compression and expansion that occurs during each step is what helps strengthen your cartilage and ligaments over time. Runner’s high — the feeling of euphoria you get during or following a run — is real. “Running boosts the brain’s serotonin levels, dopamine levels, and endorphins,” says Kennihan. That quick injection of joy and energy is awesome in and of itself, but the added benefit is that it can make you that much more motivated to tackle your next workout. Few types of exercise whip your body into shape like running. It can strengthen and define your calves, hamstrings, quads, adductors (inner thigh muscles), and glutes—especially if you perform it as speed work. Plus, it challenges your core. “Running automatically engages your core muscles and forces you to stabilize your hips,” says Kennihan. A strong core can help with balance, stability, and stamina in everyday activities, she adds. Think: walking, playing sports, carrying groceries, and even maintaining good posture as you work at your desk. “Running is a weight-bearing exercise that stresses the bones just enough to help build more density,” Kennihan says. A study published in the Journal of Strength and Conditioning Research found that running not only has a greater effect on bone density than non-weight bearing activities like cycling, but that it also has a greater effect on bone density than other weight-bearing activities, like resistance training, thanks to being more high-impact. That’s not to say you should ditch strength training in your quest for more robust bones; the difference between strength training and running was statistically significant but functionally negligible in that respect. Plus, when combined with running, the two activities offer a killer one-two punch to help build stronger bones, Kennihan adds. Running is an essential component of the majority of sports, from football to cricket. It’s no surprise, then, that regular running workouts, which help improve your stamina, speed, and cardiovascular endurance, can make you an overall stronger, more adaptable athlete. Running isn’t just good for your body — it works wonders for your mental and emotional health, too. Research shows that exercise not only helps combat stress and anxiety, it can also help enhance your mood. A study from the Archives of Physical Medicine and Rehabilitation found that regular exercisers experienced an increase in vigor and a decrease in fatigue after 25 minutes on a treadmill, while non-exercisers showed no improvement in these areas after the same activity. Research also suggests that regular aerobic activity like running can help keep your mind sharp as you age. One study showed that endurance running in particular may help maintain cognitive function in elderly adults. From an outsider’s perspective, running might look boring, but that couldn’t be further from the truth. “You can do so many different workouts with running,” says Kennihan. Speed work, fartleks, tempo runs, trail runs, treadmill workouts, and hill runs are just a few, she says. Plus, not only can you vary the pace and distance, you can also switch up the terrain and location to keep things interesting. You can run along the beach, challenge yourself to a mountain trail, or cruise around your neighborhood cul-de-sacs. You can even use your runs as an excuse to explore a new area, like a park or waterfront trail. The health benefits of running are innumerable, both mentally and physically. Not only does it burn calories, strengthen your joints and muscles, and generally boost your fitness, but it’s also a good way to burn calories and increase your stamina. If that isn’t enough, running can also help improve your sleep, lower your stress levels, and fight against cardiovascular disease. The best part? Anyone can learn to incorporate running into a healthy lifestyle, regardless of your starting point. Plus, there are countless ways to do it, from good old-fashioned jogging to intervals and racing. Just make sure you practice responsible running — that includes starting slow, working on proper form, and paying attention to signs of pain or injury.